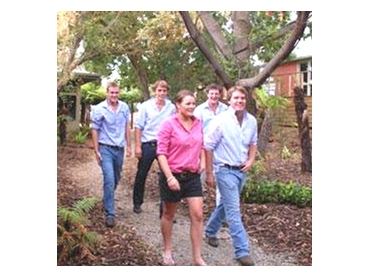 Since 1992 the Marcus Oldham College have offered a Rural Leadership Program. In this time, the training has attracted participants from across Australia and has developed a strong reputation in the agricultural and agribusiness sector. A number of graduates are now representing their industries or rural communities at the decision making level in the board rooms of both community and industry groups. Training sessions during the intensive five day workshop offer a wide range of topics including goal setting, developing action plans, community leadership, public speaking and working with media. Dinners provide opportunities to hear and debate the view of keynote speakers. A feature is the Leadership Program Industry Dinner to which industry supporters and invited guests join participants. Facilitators of the highly regarded training courses have both the training skills and empathy to understand the issues facing rural industry and rural communities, and industry background to assist in the development of solutions. The 2011 course commences on Sunday 26th June and applications close on 16 May. Participants are selected on their potential to contribute as leaders in their community and industry and demonstrated desire to develop their leadership skills, self confidence and personal effectiveness. Some are employer sponsored and others self support. Two Travel Awards are available to rural women.